It’s been a busy week for Facebook developers with the launch of IGTV earlier this week, and further features including video chat and AR filters being unveiled today. Earlier this week Instagram launched IGTV, short for Instagram Television. 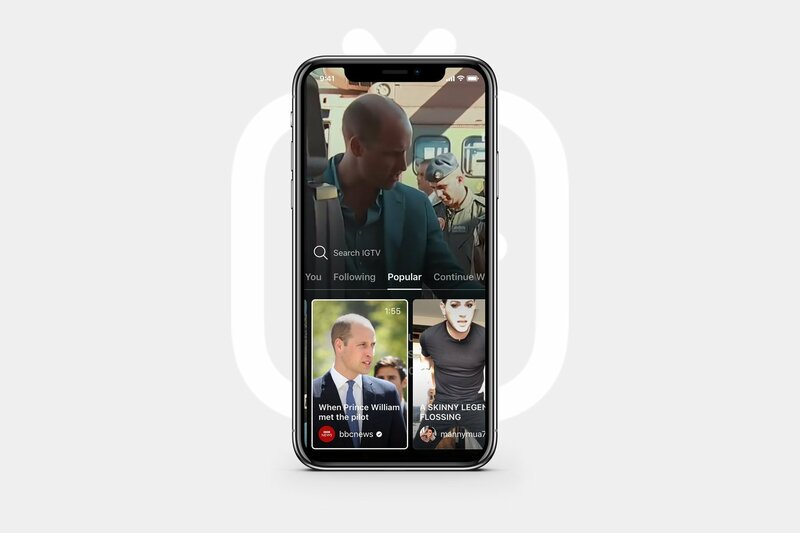 It’s been described as “a new app for watching long-form, vertical video from your favourite Instagram creators.” It will be available as a feature within the Instagram app, and as a separate downloadable app available to Android and iOS. The videos are full screen, vertical, and can last up to one hour, which will give creators lots of scope for more meaningful content sharing. Cut to today and even more new features have made their debut on the Instagram app. These include a new video chatting feature and custom AR filters that are designed by influencers and celebrities, plus a newly redesigned Explore tab. You can try out the video chatting app now by heading to the Instagram Direct tab with one other person, or in a group of up to 4 people. Just make sure that you’re initiating the video chat with someone that you have had an active thread with previously – or it won’t work. Another thing to note on the privacy front is that by blocking or muting another user, you will remove their ability to video chat with you. This marks a first for Instagram in the video chat realm! In another first for the app, and probably the most exciting new feature from an end-user perspective, is the introduction of custom AR filters for Instagram Stories. Much like the Snapchat lenses, Instagram filters will now give users the same ability to augment a photo or selfie with virtual effects. Buzzfeed and Ariana Grande have been some of the first batch of brands and influencers to get involved already. If you like the look of an AR filter that’s being used on someone else’s story, you’ve got the option to add the filter to your own personal effects toolkit to give it a whirl for yourself. That’s not all, though! Now, Instagram users have got more capability to discover content that appeals to their interests. The Explore section of the app has become more topic-focused. It’s got new functionality that gives users the option to scroll through specific interest areas like ‘style’ or ‘art’. This new emphasis on ‘explorability’ on the app is a welcome change for brands and influencers alike, as the previous set of algorithm changes earlier in 2018 marked a decline in organic reach for some. There are lot’s of new features to keep yourself busy with – go nuts.